Sandra Dickinson reprises her role as actress Lucille Ball in Lee Tannen’s bittersweet play I Loved Lucy at London’s Arts Theatre. Following a successful run at the Jermyn Street Theatre last year, the stage production transfers to the West End for a limited season in July. Based on Tannen’s own memoir on his 10-year relationship with television comedy queen Lucille Ball, I Loved Lucy sees what she was really like and how she chose to live the end of her life. Lee Tannen first encountered Lucille as a child, with their friendship lasting well into adulthood. Remaining firmly out of the spotlight, Lee became Lucille’s confidante, travelling to Beverly Hills, Palm Springs and New York. West End actress Sandra Dickinson returns to play the title role, opposite Matthew Scott (An American in Paris, Jersey Boys), who makes his London debut as Lee. Dickinson’s theatre credits include the 2012 revival of Singin’ in the Rain, A Streetcar Named Desire, Chitty Chitty Bang Bang and Not About Nightingales. 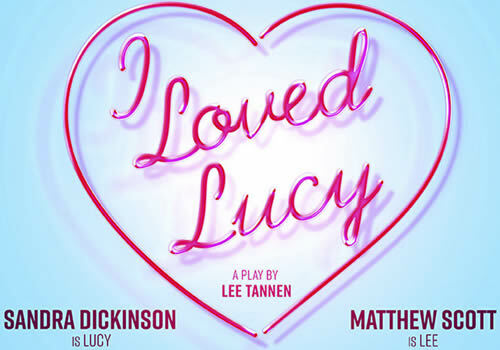 Directed by Jermyn Street Theatre’s Artistic Director Anthony Biggs, I Loved Lucy is produced by Gary DiMauro and features design by Gregor Donnelly, lighting design by Tim Mascall and sound design by Gareth McLeod. Lucille Ball is best known for starring in American sitcoms such as I Love Lucy, The Lucy Show and Life with Lucy. Now, a personal, funny and heart-warming show celebrates the star. I Loved Lucy plays at the Arts Theatre from July 19th to September 2nd 2017, with an official opening on July 24th 2017. I Loved Lucy may not be suitable for young children.